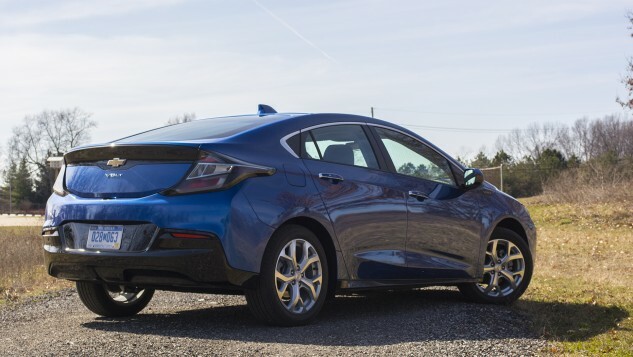 Green vehicle sales are on the rise, and many automakers have announced plans to produce mostly hybrid and electric vehicles in the near future. With the future of the automotive industry becoming increasingly green, iSeeCars recently released a study ranking U.S. states in their green car adoption and their improvement from 2014 to 2017. The comprehensive study also analyzed green car adoption on a metropolitan area level and found that San Francisco-Oakland-San Jose led in green car sales for 2017 while Bakersfield, CA saw the most growth over the three-year period. iSeeCars.com analyzed over 22.5 million cars sold in 2017 (and over 17.8 million cars sold in 2014) to determine which states have the highest percentage of alternative-fuel vehicles (defined as hybrids, plug-in hybrids, and electric vehicles), and which states had the largest increases in green car adoption from 2014 to 2017. Overall, only 2.6 percent of vehicles sold in 2017 were green vehicles, while the national adoption of green cars increased by 48.4 percent since 2014. California, which not surprisingly was the state with the highest green car adoption rate for 2017, dominated the list with seven out of the top 10 metropolitan areas. The widespread adoption in California can be attributed to generous financial incentives as well as the prevalence of public charging stations. San Francisco took top honors with an adoption rate of more than four times the national average. The three metropolitan areas outside of California that made the list hailed from the state’s West Coast counterparts. California continued to assert its dominance with Bakersfield earning the top spot of green vehicle adoption growth over the three-year period with a 276% growth rate. The second place spot went to Anchorage, which saw a 172% improvement in its green vehicle population. While California metropolitan areas accounted for the third and fourth spots, the fifth place spot went beyond California to Missoula, MT. For iSeeCars complete analysis of green car adoption by state, visit the iSeeCars website. iSeeCars.com is an automotive data and research company that helps consumers find the best car deals by providing key insights and guidance. It has saved users over $140 million by applying big data analytics powered by over 25 billion (and growing) data points and using proprietary algorithms to objectively analyze, score and rank millions of cars and thousands of dealers. Based in the Boston area, iSeeCars.com was founded by former TripAdvisor and SAP executives determined to improve the car shopping experience for consumers.